This is well exemplified by the following video. In this anesthetized preparation (slow oscillation mode) the state of the thalamus is controlled by stimulating the brainstem reticular formation (activated mode); basically the sleeping thalamus is briefly woken up so the sensory responses can be compared in both states. 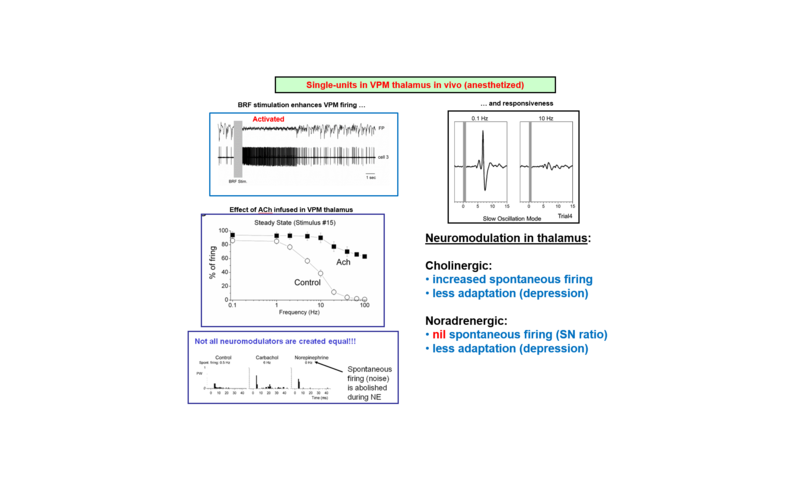 We discovered that state affects primarily the responsiveness of high frequency sensory inputs, which are blocked during the slow oscillation mode, but allowed during the activated mode. 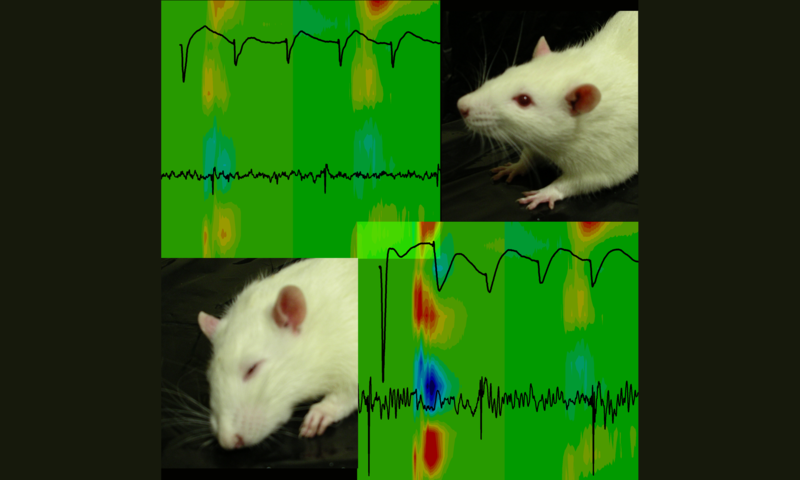 The panels shows a single-unit recording in the VPM thalamus evoked by a whisker deflection at either 0.1 or 10 Hz. Note that during the oscillation mode the neuron only responds to the low frequency whisker deflections, but during the activated mode it responds to both the low and high frequency whisker deflections. 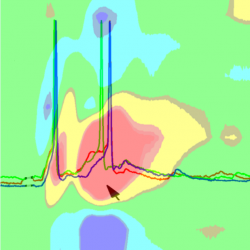 The small responses visible when the large spike fails are the “s” potentials (synaptic); the synaptic potentials viewed from the extracellular space, which are unable to reach spike firing threshold in the slow oscillation mode.